Operation: Anchorage will hit the PS3 in late June, followed by the release of The Pitt and Broken Steel four to six weeks apart. In addition, a new patch will be released for the PS3 that will let gamers download and play the new DLC. Is Point Look A New Fallout 3 Expansion? Mothership Zeta – The aliens have returned, and they're pissed. Experience an alien abduction first hand and find out if you're tough enough to survive. Mothership Zeta is scheduled for release in late July for Xbox 360 and PC. Cost will be 800 points or $9.99. It will be available through Xbox Live and Games for Windows Live and through token cards available at retail. Mothership Zeta will be available on PS3 after Point Lookout. Finally, Bethesda plans to release some of the DLC on disc this summer and a Game of the Year edition this October. Fallout 3 Game Add-on Pack #1 includes The Pitt and Operation: Anchorage on a disc and will be available for Xbox 360 and PC on May 26. The Fallout 3 Game Add-on Pack #2 includes Broken Steel and Point Lookout on a disc and will be available for Xbox 360 and PC in August. Retail versions of the game add-on packs for PS3 are not possible and the DLC will only be available for download online via PlayStation Network. 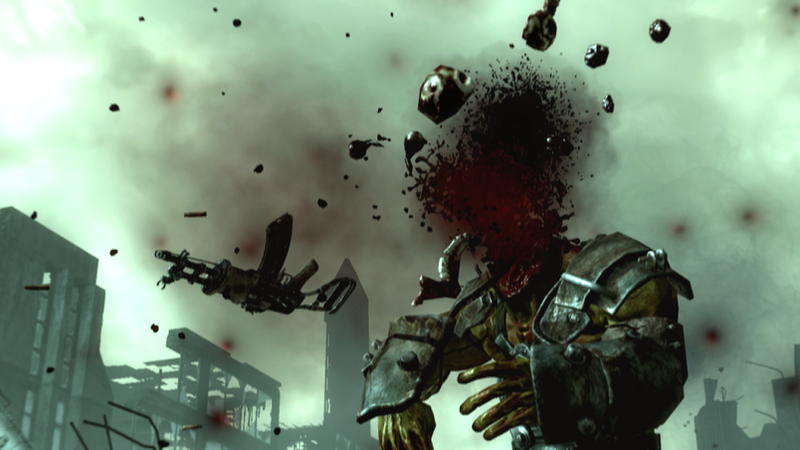 A Fallout 3 Game of the Year edition will be available in October. It will include the original game plus all five add-ons for $59.99 for Xbox 360 and PS3, and $49.99 for PC. Stay tuned for our impressions of Point Lookout, which will be playable at E3 this year.